The Koocare take care of your neck ! The neck brace cover allows you to create an amazing comfort pads between your cervical collar and your skin. Increase your comfort by creating with the fabric some cushion support for your sensitive skin. 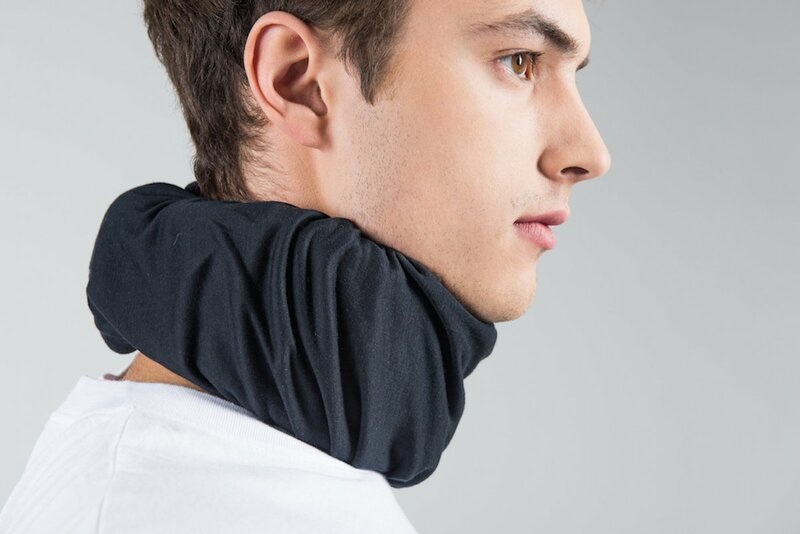 ++ it also covers the back of the neck brace, namely the fastening system of the Velcro neck brace which avoids hair pulling and / or avoid damaging the neck shirts. 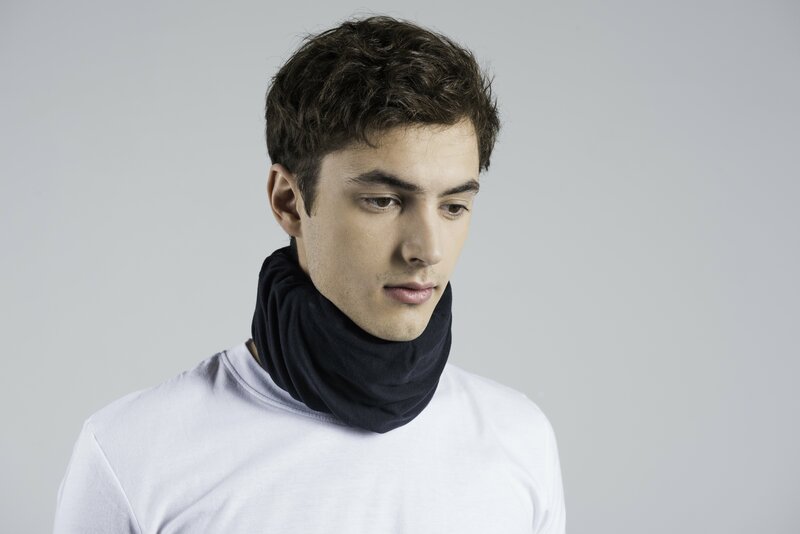 Whether in the form of snood or scarf, all our cover cervical collars are especially designed with softnessand comfort in mind. We use the most skin-friendly, non-abrasive fabrics available and combine them with innovative fabric technology. 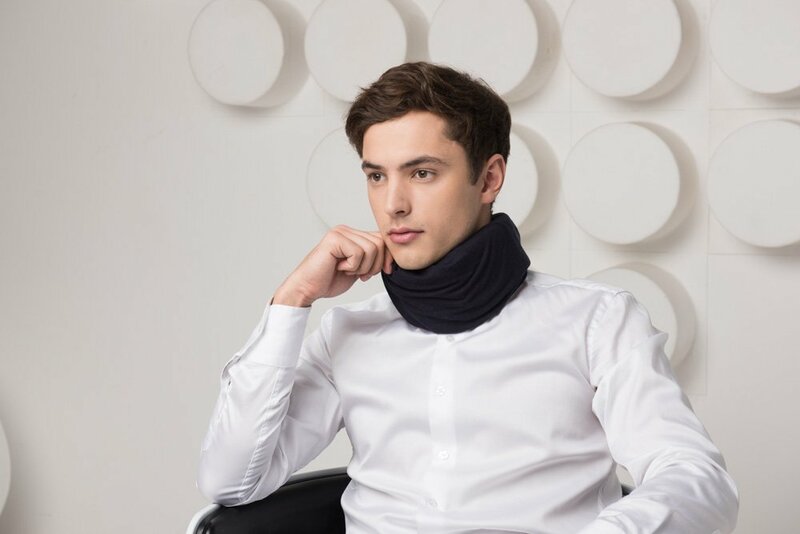 The Koocare neck collar cover adapt to your skin temperature, keeping you warm in cold conditions whilst allowing ventilation when it senses heat. The analgesic action of the neck collar is reinforced with its The Koocare accessory, thereby allowing you to feel good, irrespective of the weather condition. The Koocare is anti-bacterial and anti-odor. You can be sure that your neck cover collar will stay fresh, clean and odor-free throughout the day. The neck is an area of the body often exposed to bacteria. This is why The Koocare only uses fabrics with special technologies that not only preserve the skin’s natural bacteria, but guard against unwanted odors. The Koocare takes care of your neck and uses fabrics with natural active ingredients and paraben-free properties including: Aloe-Vera, Jojoba, Beeswax and Vitamin E.
Aloe Vera is known for its moisturizing and soothing properties. It not only helps to soften the skin but it is also anti-allergenic, and used to treat conditions such as eczema and psoriasis. Jojoba is known for its moisturizing and anti-inflammatory properties. It helps to prevent skin infections. Beeswax is known to soften and soothe minor skin abrasions. Vitamin E is known for its antioxidant properties. It fights against free radicals responsible for accelerated skin aging.